There was a lot of criticism in the subsequent posts about this interview (essentially Ellinghaus was completely wrong on all counts). I find his answer refreshing but also probably disingenuous. He doesn’t care who buys the cars, yes, but his marketing and design people must know who they are designing for. It’s a rule of any design project that you need to know the characteristics of the customer and user before you can specify the product’s requirments. And you need to know after you’ve designed something whether it’s what the users wanted. However, Ellinghaus is right in saying that signalling who your customers are is unwise. It is perplexing that manufacturers have spelled this out rather than spelling out what the car was for. That’s target neutral: ‘our car is for people who like to hike, bike and travel at the weekends’. If that’s a childless couple in their late 20s or a spry retiree in his 70s what does it matter? Cadillac’s designers are probably still being instructed in who the target customer is – personas are still being drafted – but Cadillac wisely will be keeping schtum. Here’s our new car. It’s this fast, this big and costs this much. If you like it, we’ll sell you one. 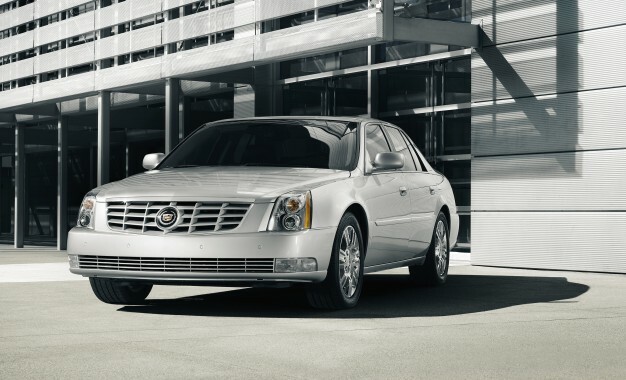 Side note: Cadillac will ignore their sunset buyers who want a cushy ride and lots of room, says Ellinghaus. Isn’t there room in a large line-up for a range of different sorts of car? Sporty and comfort orientated? And if we can have a car in nine different formats why can’t you buy a car with two or more markedly different suspension settings? 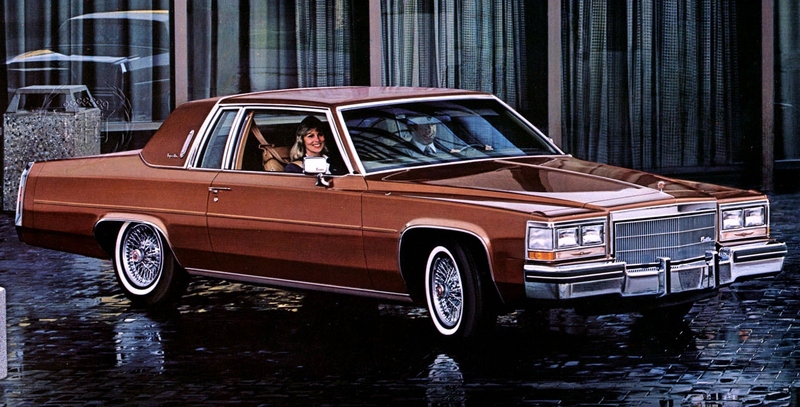 So, if you want your Cadillac (for example) sporty then press sport and if you want to relax, press comfort. This technology exists and is in use but it does not seem to be noticed. Doesn’t that solve the problem? Indeed the solution is there and it would be easy to blame motoring journos for focusing almost exclusively on the sport setting when reviewing virtually every car. That said, do customer care as much as they used to or have they all been brainwashed into thinking that one-size-fits-all is what’s best for them? It’s quite difficult, but I think it’s wisest to have a series of needs in mind rather than a series of demographic groups. I was once give the dealer’s sales briefing (“Distance Learning Guide”) for the Renault Kangoo. It seemed to focus on “The Traditionalists” who “have life experience / do not know much about cars / expect value for money / are married / so on”. Aside from my irritation at the presumption that they knew who I was, which they signally did not, this strange and arbitrary looking list of aspirations seem to limit the potential of the Kangoo Estate, which could have fulflled the needs of a large group of people, had it been offered in a suitable choice of interesting trim levels. Instead it was offered in a single dull grey suits all option. The Kangoo is no longer sold in the UK. The Kangoo is a van with rear seats and windows. We all know what kind of people buy those as main means of transportation. They wear socks with sandals and have reading glasses hanging from a piece of string around their neck. Laurent. There’s one parked outside as I write. I’m really hurt. And what’s wrong with socks with sandals? I wasn’t passing judgement – just drawing a profile. And the glasses don’t have to be for reading. They can be shades instead. Sorry Laurent.I was just squinting at what you wrote. I bought some new reading glasses in LIDL the other day and I’m not sure they are right. And I only wear socks with my sandals in Winter. Back on topic: I quite like the look of that DTS, even if it reminds me of something Korean from about 20 years ago. Still, it looks just like an American barge should to my eyes, although I suspect it doesn’t look ‘special’ enough for most buyers today. 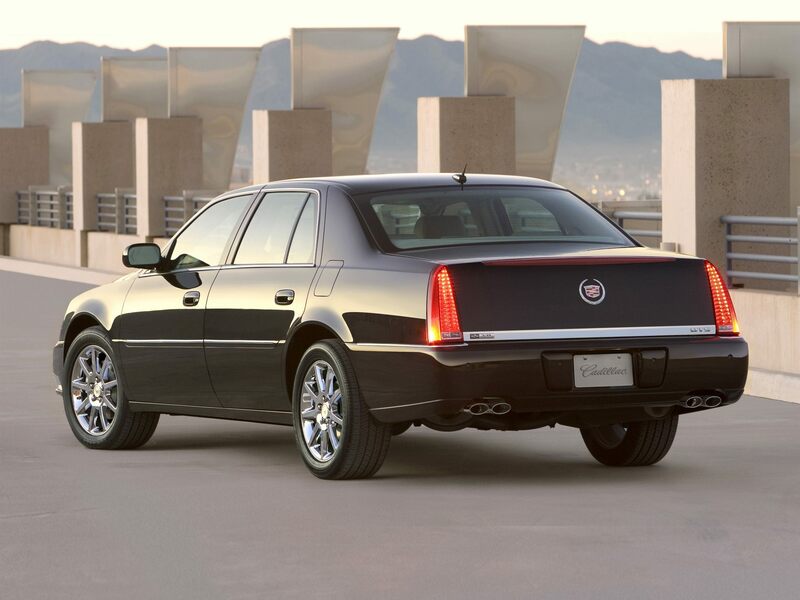 The DTS appears to have the centre section of the Cadillac Seville. The DTS was first named the de Ville. Despite my suspicions Wikipedia shows no immediate evidence that the DTS has the doors from the Seville. It looks that way. The headlamps are too round and vertical in comparison with the other, squarer shapes. Wow. I thought the car looked that way because of some pressing need. No, apparently they had a free hand and it still ended up looking ghastly. Sorry Sam. I prefer the 1994-1994 version which resembles the RWD, BoF 1993-1996 Fleetwood. Yes that looked more like a proper Caddy (maybe the last of the old school? ), but I wasn’t comparing with anything personally. Except Korean saloons obviously, and I did a quick search online and it was the 4th gen Hyundai Sonata that had hints of CTS, but even more of its predecessor… I’ll post pics later.